The article below was first published in the West Australian, by Andrew Murdoch. An internationally acclaimed writer, former journalist and television presenter is taking an unorthodox approach to ensuring her new book is a popular stocking filler this Christmas. Sheridan Jobbins said while “real famous people” were hitting the big cities with their books, she was taking a leisurely tour of outback Australia, visiting regional bookshops and spruiking her work whether invited or not. Jobbins is in Kalgoorlie – Boulder today and will be at Collins Booksellers from 10am to 11am. She said her novel was a true story written in the style of a fiction and was “basically a rom-com memoir” about how she met her husband. Having held the Guinness world record as the youngest person to host a television show, written a feature film starring Colin Firth and helping produce the award-winning Adventures of Priscilla, Queen of the Desert, Jobbins has enjoyed a fruitful career in entertainment. But she said writing the novel was an important coming-of-age moment. “What I always wanted to do is write books and publish them. It’s something I’ve always wanted to do,” she said. 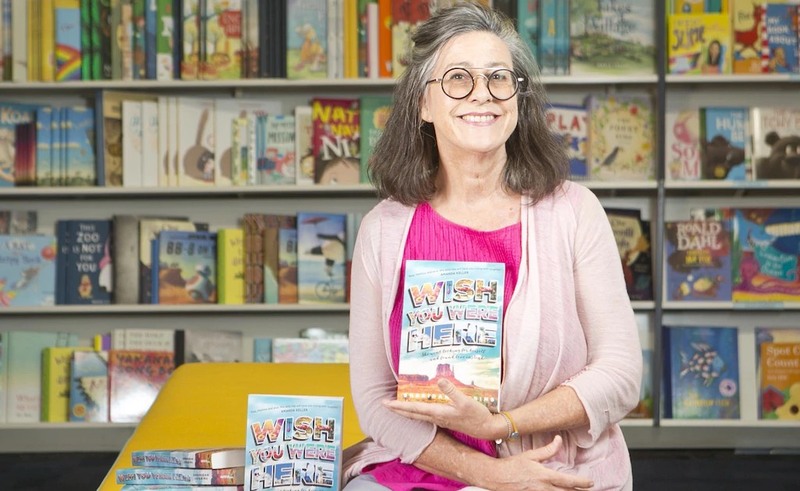 Jobbins said her personal tour of regional bookshops, which has seen her travel mostly by car from NSW to WA, had been a remarkable experience. “I’m shameless about accosting readers in the bookshop. I go up and say ‘I wrote that, it has got a happy ending, you might like it for Christmas’ and that usually prompts a nice conversation,” she said.